2005-2007 Corvette Polished Battery Cover. Polished stainless steel finish. Fits all 2005-2007 C6 Coupe and Convertible Corvettes. 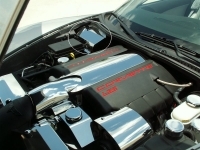 Dress up your Corvette with our Polished - Stainless Steel, Battery Cover. These trim pieces are designed to fit all 2005-2007 Corvettes over the battery and add a clean stylish look to your Corvette engine bay. Easy "peel and stick", Velcro installation takes just minutes. 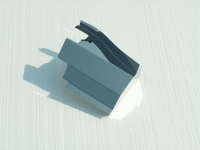 Log In To See Pricing 2005-2013 Corvette Polished Fuse Box Cover. Polished stainless steel finish.